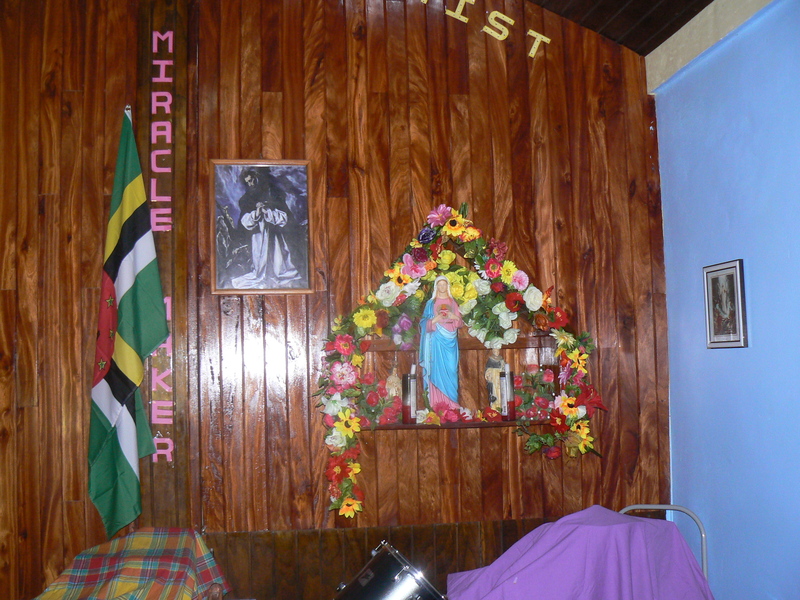 A chapel I am most proud about was a cooperative effort of Rev. Fr. Charles Vermeulen C.Ss.R and myself. The last project we worked on together. 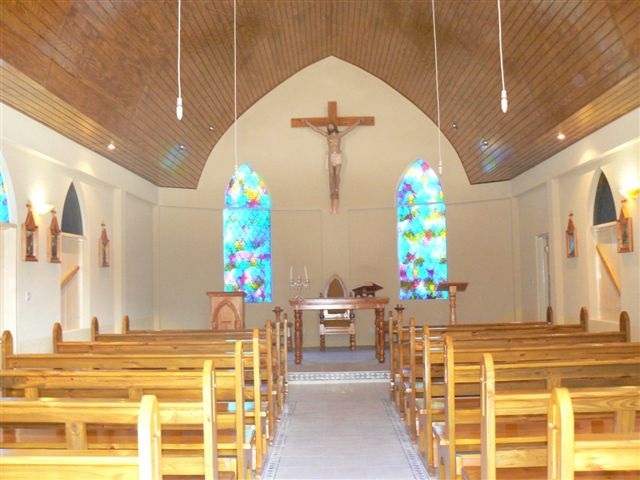 It is the chapel in my home village. 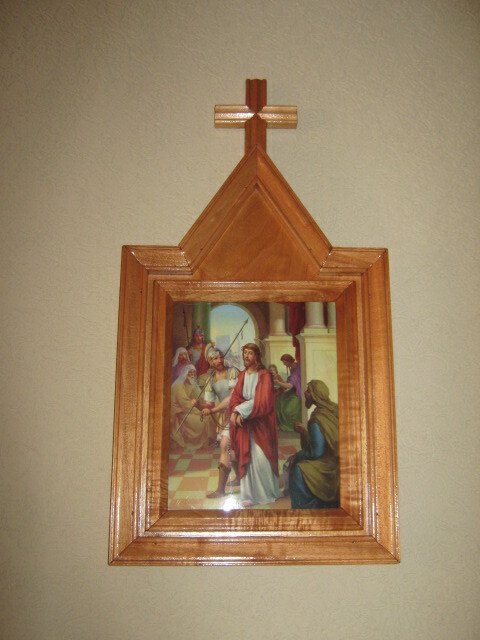 The St. Gerard’s Majella chapel in Bellevue Chopin was rededicated by Most Rev. 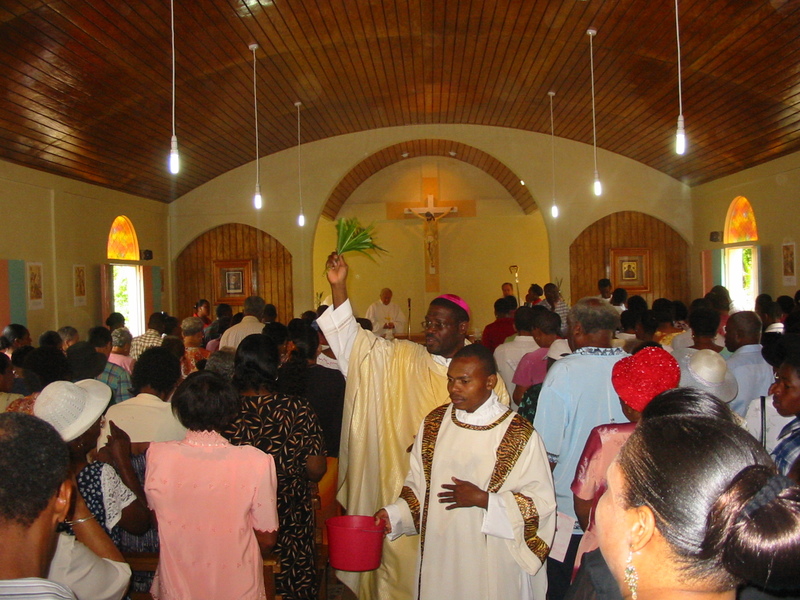 Gabriel Malzaire on Easter Monday of 2006, following a year of renovation work. 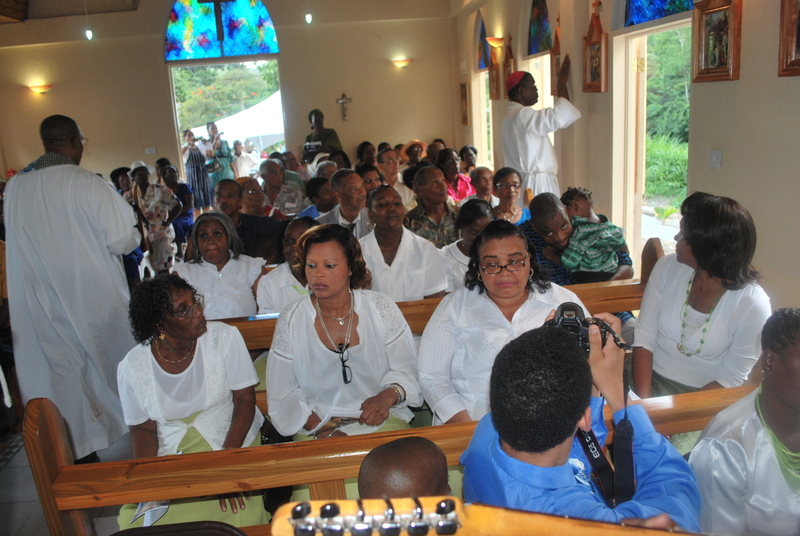 The renovated chapel has made a huge impact on the attendance and attracts many visitors . 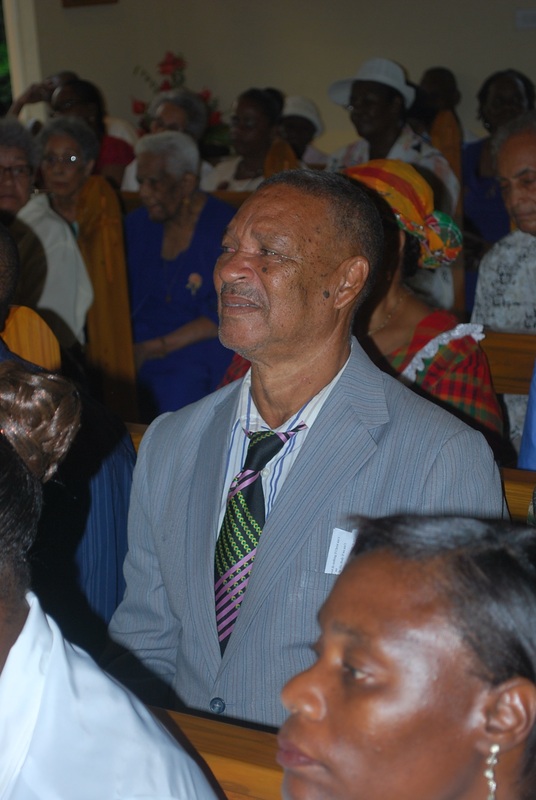 The spiritual dedication and efforts of Brother Sam C.Ss.R. over the last 10 years has born many fruits, good fruits. 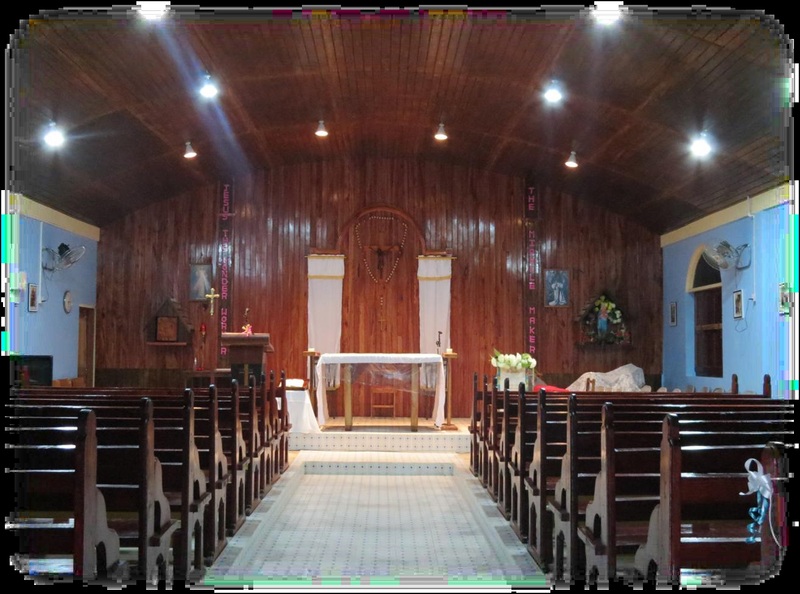 This entry was posted in Bellevue Chopin chapel, design by Bernard Lauwyck, SUNDAY MASS at 11 am and tagged Bellevue Chopin chapel, chapel at Belle Vue Chopin, Charles Vermeulen, St. Gerard majella chapel on October 14, 2016 by Bernard Lauwyck. 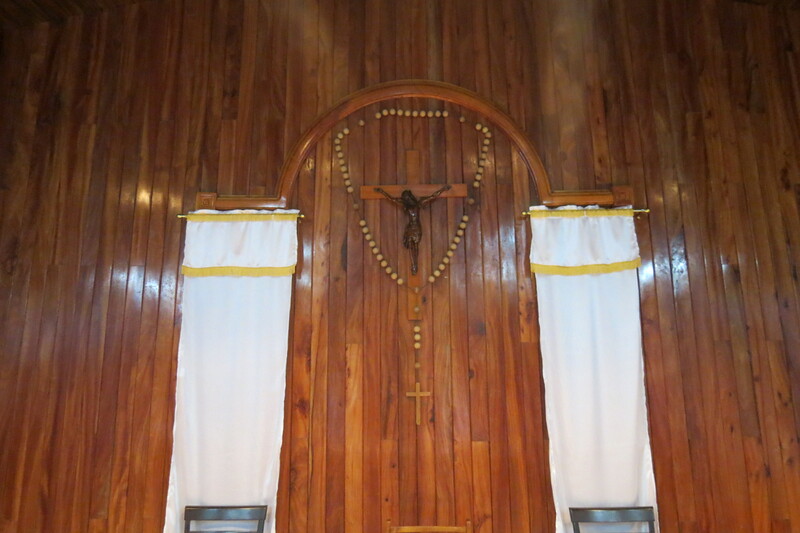 I am dedicating this short article to all the Catholics of St. Dominic chapel in Atkinson, who have worked tirelessly to bring their dilapidated chapel to the present beautiful Place of Worship. 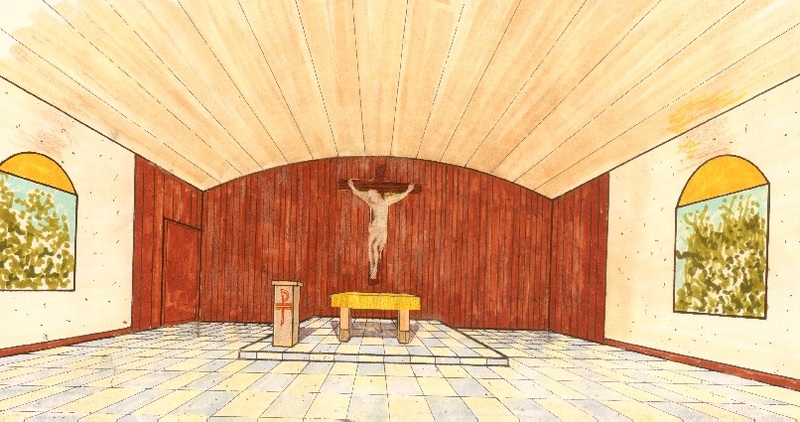 This project, called the enlargement and renovation of the Atkinson chapel, took (7) seven years, a sacred period. Faith, perseverance, patience are words inscribed in these walls. Blood, sweat and even hardships ! Despite a major lack of funds, this faith community continued to follow my master plan, a design and a 14 steps renovation plan of action. 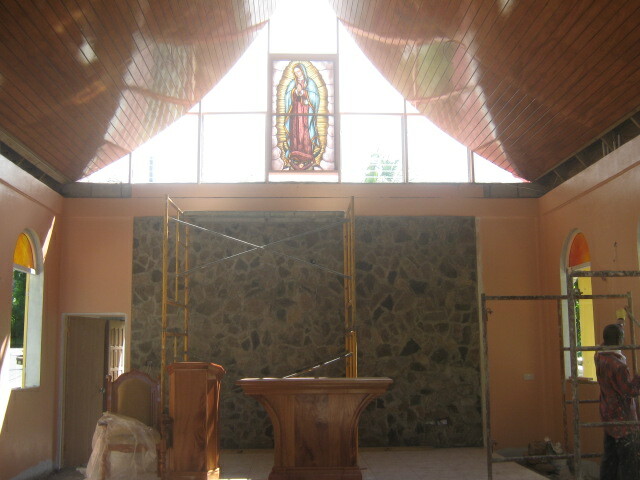 The project was started with widening the chapel with 8 feet and the installation of a new roof structure and covering. 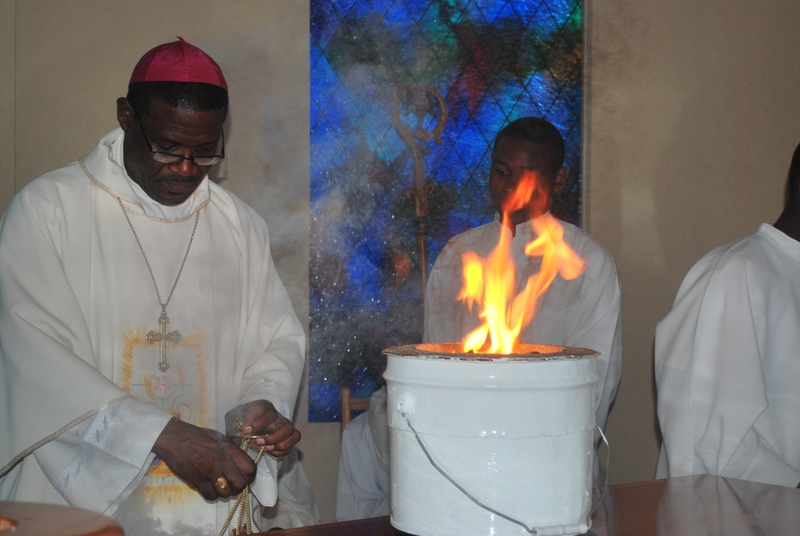 This was done with a grant of Propagation of the Faith. 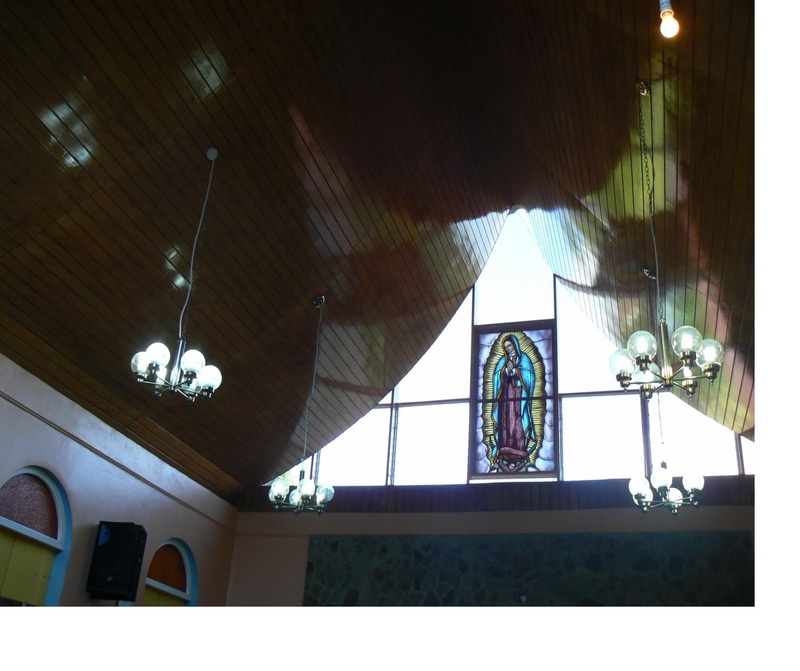 Next were new windows and doors with a grant from Adveniat or the German Catholic Bishops’ Conference. Food for the Poor donated plywood for the ceiling free of charge. 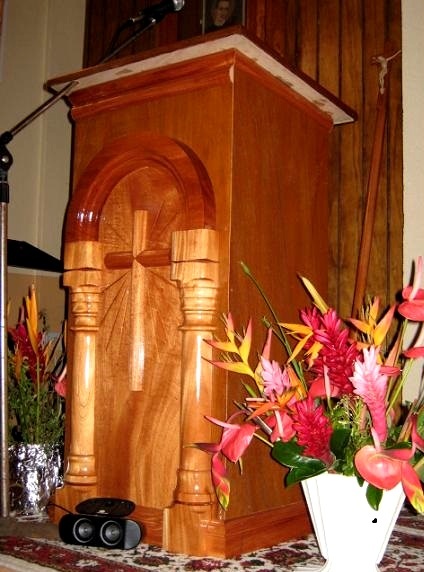 They also donated at a later date timber posts for the pews. Then funds dried up and were no longer available. But the people spirit was indestructible and indomitable. 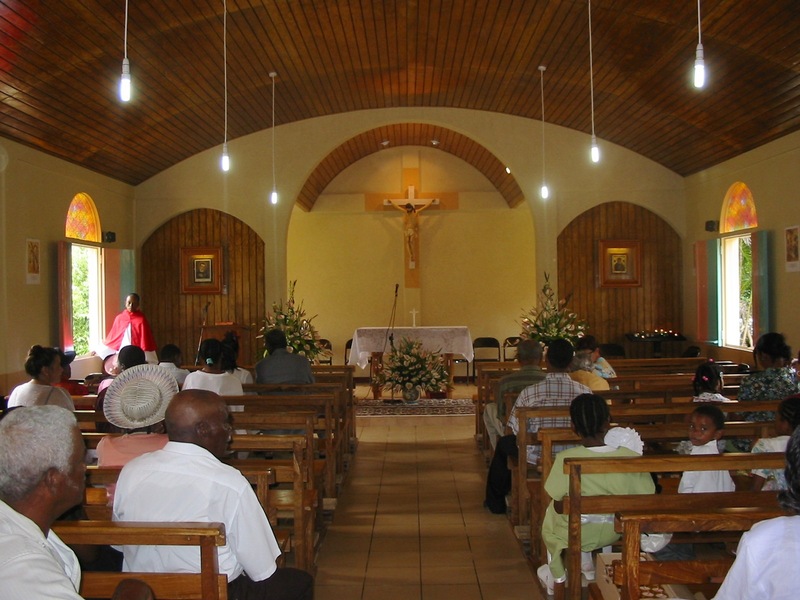 Despite a lack of parish priest in the parish for long periods, the project moved forward. It was initiated by Rev. Fr. Sharplis , designed by me, started under Rev. Fr. 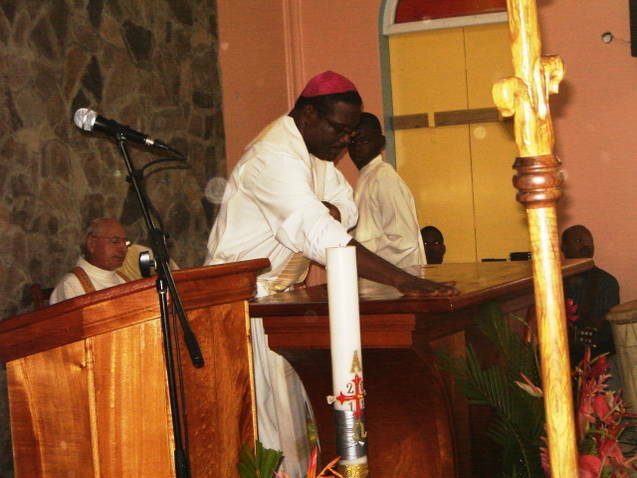 Jacobs, continued by Monsignor John Lewis, administrator Nurse H. Thomas and finally completed under the present Parish Priest Rev. Fr. Elveau. I also recognize Sr. Pat’s (ICM Sisters) great contribution. 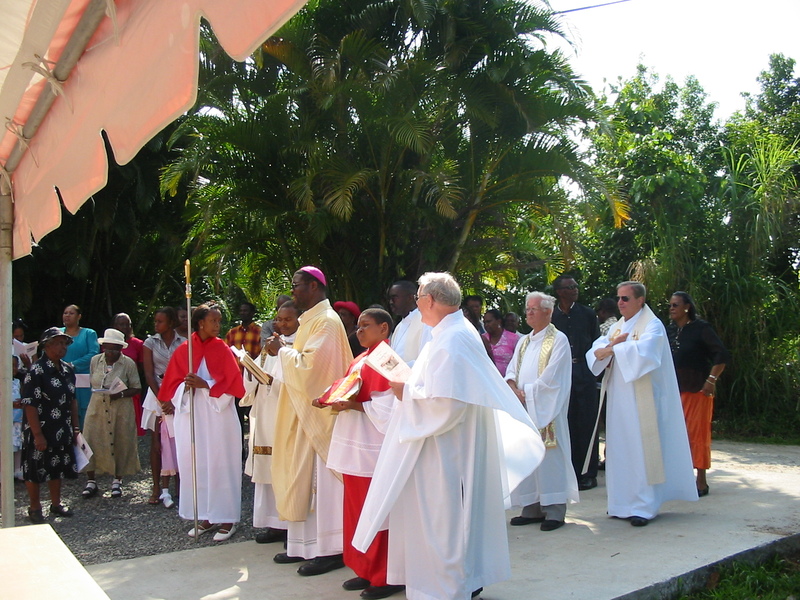 When the grants were exhausted, no effort from the local parishioners was too great, no donation in kind too small. Galba trees were donated, these were dried for 6 months and then boards were made, installed, varnished. 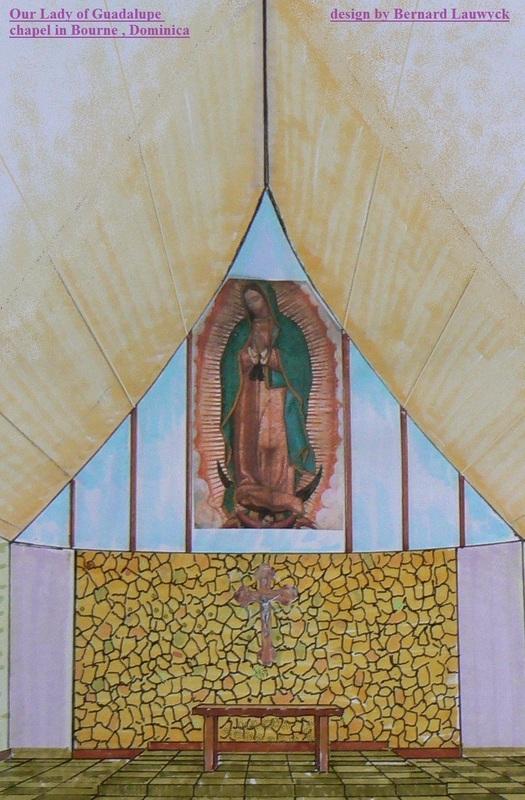 Tiles and so many other items were donated by parishioners. Work was done for free. I just had to provide assistance and guidance. And when I fell sick, the project still went on till completed. I can not single out persons to thank, there are too many names to call, too many I carry with me in my heart. The driving back from many meetings over the years, at night, were very lonely journeys, but my heart was warmed by the spirit demonstrated in the Atkinson meetings. Meeting them was like a homecoming. I just want to say that it was a privilege and honour to be part of this “building Church together” effort. IT WAS SEVEN YEARS WELL SPENT! Atkinson showed the way, many will follow, if just given the chance and guidance.